When the Arabic news network al-Jazeera broadcast a new audiotape believed to be from Osama bin Laden on Thursday, it gave us the first evidence we’ve had in 13 months that the al Qaeda leader still lives. Safely distanced from tell-tale telephones and e-mails that could be used to track him, he may now be giving broad guidance to his followers via a “Pony Express” of trusted couriers. Or he may have fled to a country other than Afghanistan or Pakistan, where he’s most frequently said to be lurking. One thing he is definitely not, however, is caught, “dead or alive,” at the instructions of President George W. Bush. The world’s most wanted and deadly terrorist worries about public relations, watches Larry King Live and carefully cultivates the image of soft-spoken, thoughtful cleric. But he has no real strategy left — just the tactic of extreme violence. And while he may be a legend in the Muslim world after overseeing the 9/11 attacks that killed 3,000 Americans, he also miscalculated the impact of those attacks and has become a divisive figure among even Muslim radicals. Friday, Feb 17, 2006 Review of “The OBL I Know” in the New York Review of Books. When Osama bin Laden speaks, people listen. They tend, however, to hear different things. Take the coverage of his latest voice-from-the-mountain tape, released in mid-January. The New York Times and The Washington Post both headlined with the words “Bin Laden Warns of Attacks.” The equivalent two highbrow Arabic-language newspapers, al-Hayat and al-Sharq al-Awsat, led instead with the news that the al-Qaeda leader had offered a truce. Since the terrorist attacks of 9/11, Osama bin Laden, the mastermind and leader of al Qaeda, has become a household name. Yet few people know many facts about this elusive figure. Bergen (terrorism analyst, CNN; Holy War, Inc.: Inside the Secret World of Osama bin Laden) has reported on al Qaeda for more than a decade. “The Osama Bin Laden I Know,” from CNN’s terrorism analyst Peter Bergen (Free Press, $26), is based on interviews with those who have met al Qaeda’s leader, and it brings together a treasure trove of information and documents about the man and the movement. Bergen has organized the book in such a way that you understand bin Laden’s roots, his motivations and his aims as his story unfolds. Accounts from childhood friends, former jihadi colleagues and even bin Laden’s bodyguards are mixed with bin Laden’s own words. What is the most significant thing about the new tape from your point of view? Well, the most obvious message is that Osama bin Laden is alive and well, which is something I personally believed anyway because there was no evidence that he was dead. There was a lot of ill-informed speculation that he was dead because we hadn’t heard from him in a year. But of course there was a precedent for that. He came out at the time of his choosing. Osama Bin Laden is back on the air after a long absence. Richard Kerbaj reports on a new biography of the feared terrorist that discusses his biggest dilemma MORE than 30 audio and videotapes have been released by Osama bin Laden and his deputy chief, Ayman al-Zawahiri, since the September 11 attacks on the US. Now bin Laden has issued another dire threat against Americans that is being taken seriously. 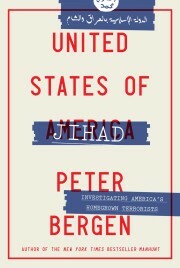 His new biographer, US journalist Peter Bergen, argues bin Laden’s move is also dangerous for him.